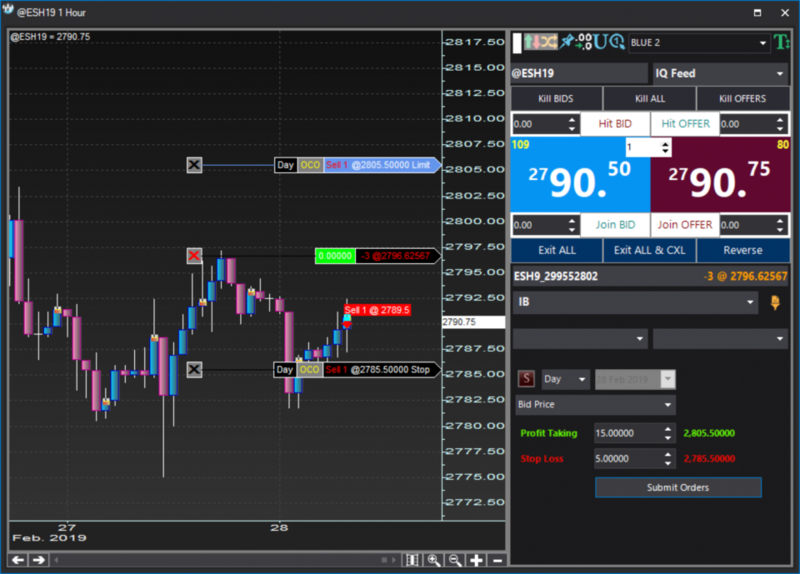 Control positions right from charts. View trades, positions and orders on charts. 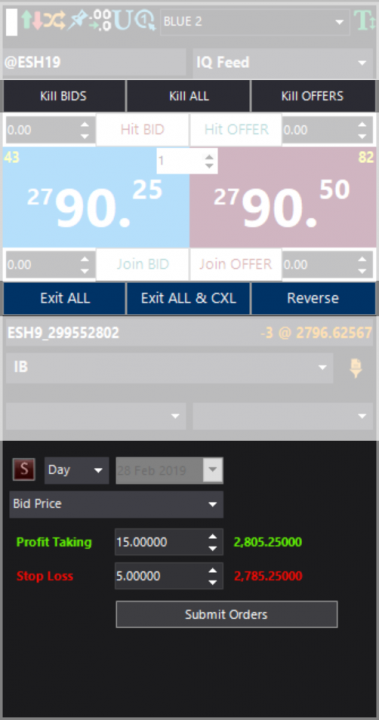 Place and cancel orders, join bids and offers or hit them, set your slippage, kill bids and/or offers, exit or reverse positions. All in one click! View positions, trades & orders on charts. All information needed to monitor your positions and orders is conveniently placed on charts. You can visually check when and where you placed trades; you can see where your standard, bracket, OCO or OSO orders are placed; and you can even see what your position and running P&L are. 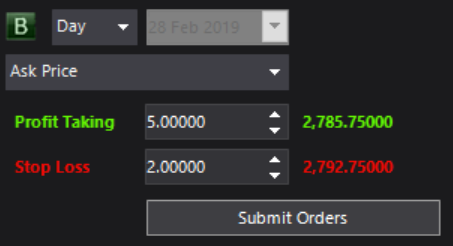 You can also liquidate positions and cancel orders with one click. Trade off the chart trading panel. You can trade right off the chart trading panel, placing market as well as limit and stop limit orders with preset slippage. The order is generated at a price equal to Offer with a Limit equal to Offer + Set Slippage (above market). Place, cancel and manipulate orders. Place orders referenced off bid, ask, mid, last or your latest trade price. Cancel bids, offers or all orders with one click. 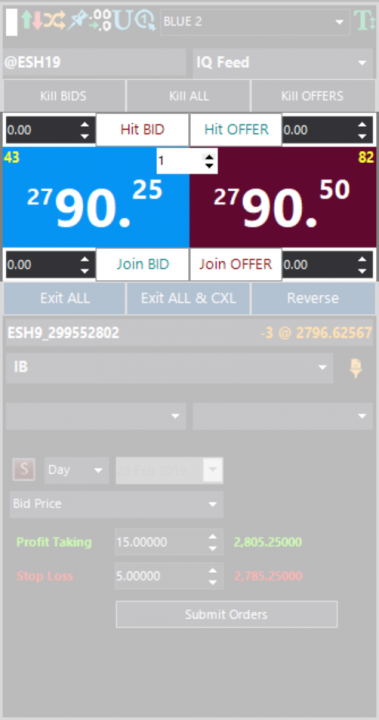 Easily exit or reverse positions – or exit all positions and cancel all orders.